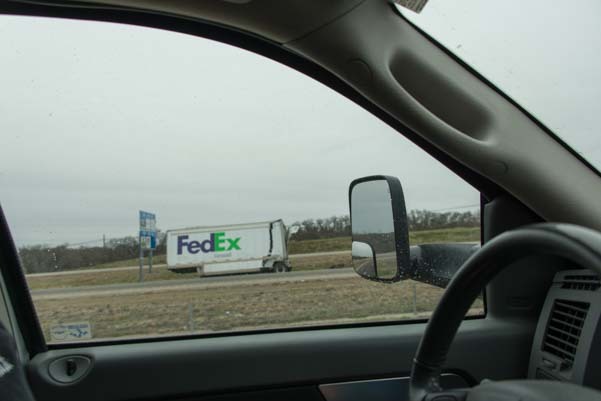 Interstate Rest Areas TX to FL – Not Just Any Pit Stop! We spent the last few days zipping along the interstates from Texas to Florida, and one of the biggest surprises has been the impressive rest areas in these states. 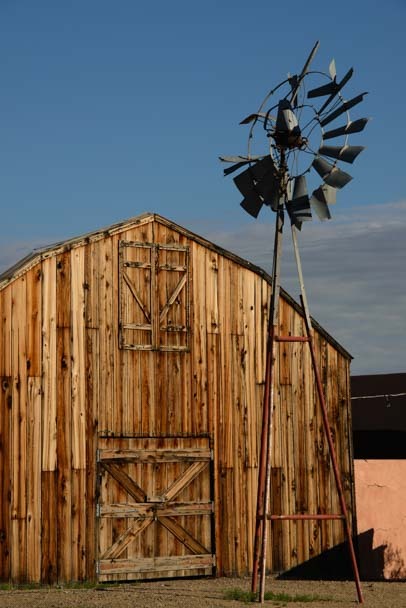 These aren’t just ordinary pit stops with yucky old bathrooms. 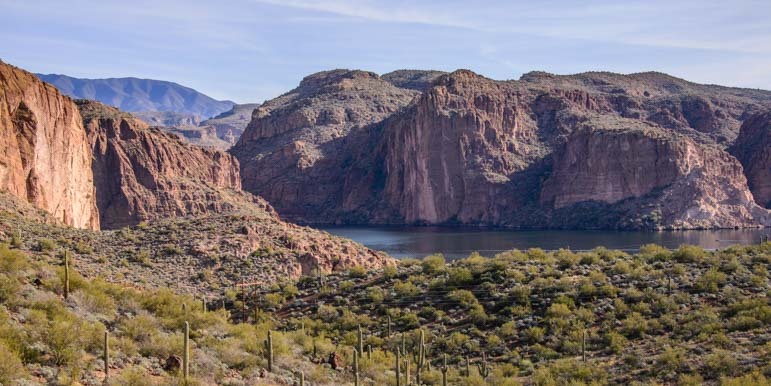 These are scenic parks with entertainment for all ages! 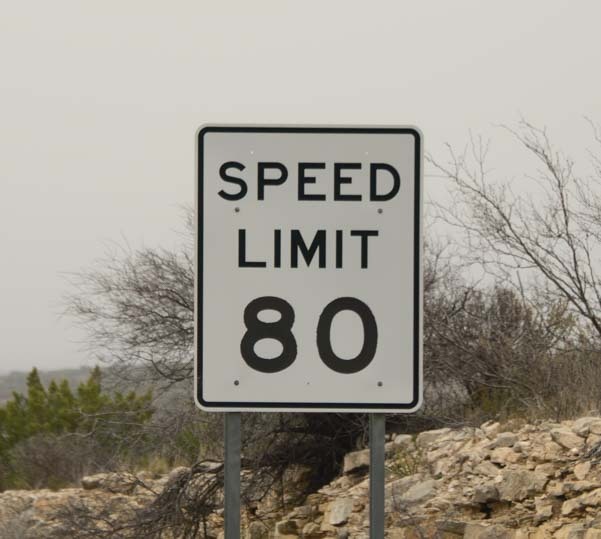 We first took notice of these incredible motorist havens at the Navarro Rest Area on I-45 in Texas. 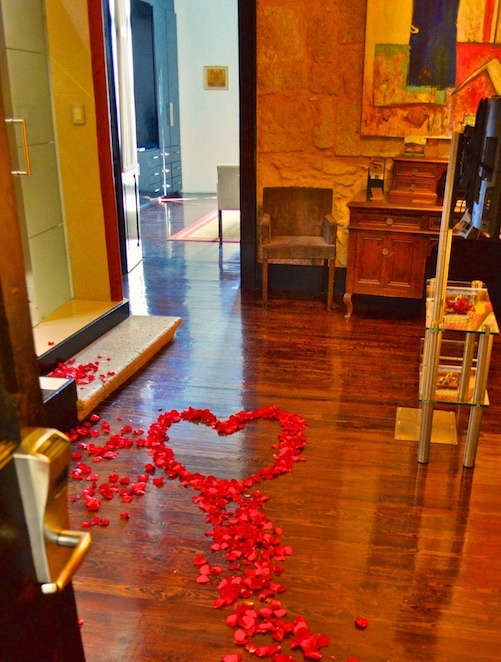 The building was very stately, and the history exhibits inside were worthy of a museum. Heck, even the bathrooms were elegantly decorated with really nice tile! Outside there was a fantastic playground for kids that would make any community or school jealous. 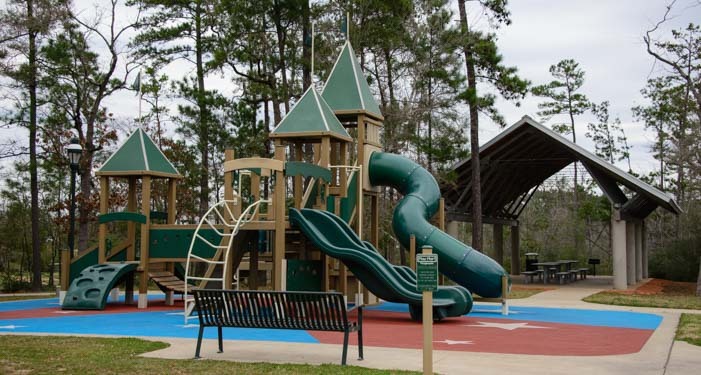 Further south on I-45, the Walker County Rest Area had an equally impressive playground (gotta give those kids a REST!). Inside, the history exhibits told the whole history of Texas. Mom and dad can relax after driving while the kids burn off some energy. 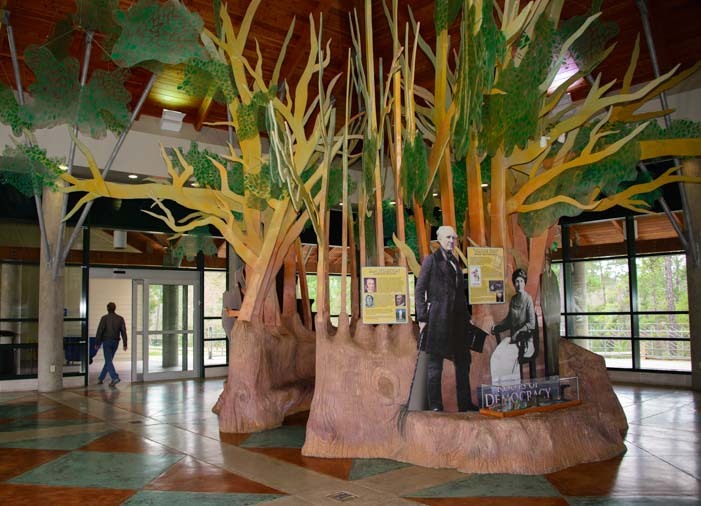 Go inside a rest area building and find — a museum exhibit featuring Sam Houston! Behind the grand rest area building there was a beautiful pond! 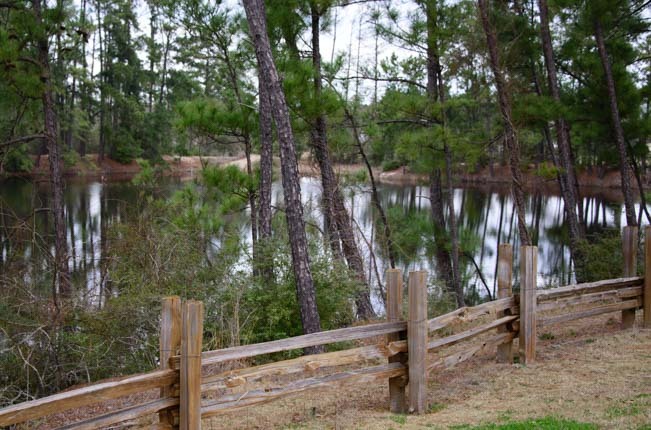 A pretty pond…at a rest area?! Texas isn’t the only state with impressive rest areas. Driving east on I-10, an early morning stop at the Vinton rest area in Louisiana proved to be a fabulous opportunity for taking photos. 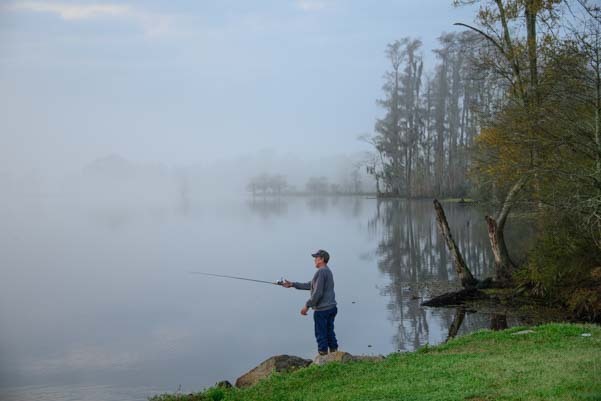 It was located next to a large pond, and morning mist hovered in the air like a thick blanket. 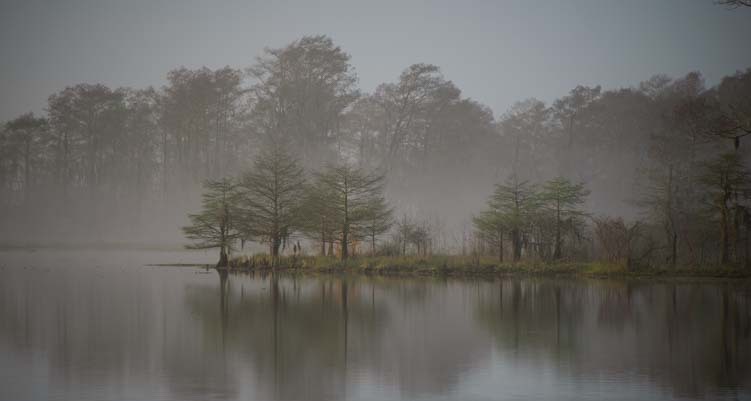 Morning mist rises at the Vinton Rest Area in Louisiana. A local fisherman suddenly showed up and began casting his line. Who knew a freeway rest area could double as a local fishing hole?! Locals come to this rest area to fish! 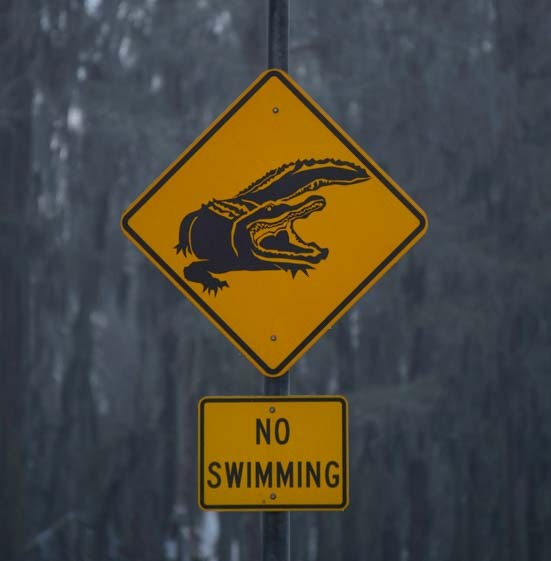 Louisiana is the beginning of alligator country for eastbound travelers. 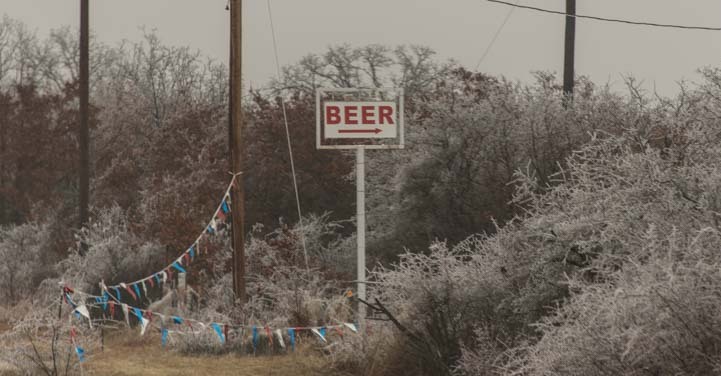 When we saw a warning sign at this rest area, we knew we had left the west far behind! What a surprise it was later to find that this rest areas (which is technically a “Welcome Center”) has reviews on TripAdvisor!! 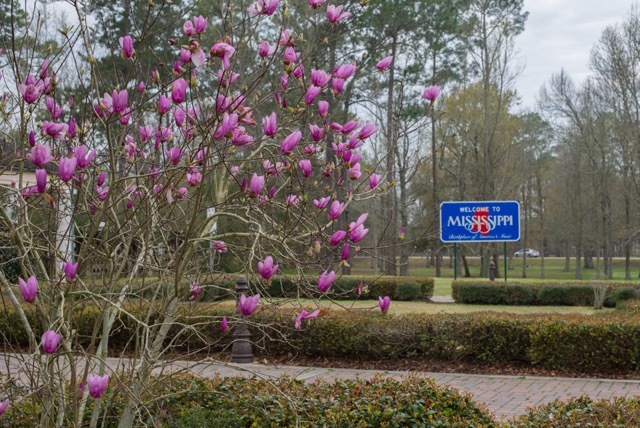 When we arrived in Mississippi we stopped at their first rest area and were given an incredibly warm southern welcome. I was offered a cup of coffee by some very lovely ladies at least five times! Outside, the flowering trees were in glorious bloom. Some of these rest areas make good overnight stops. Several were laid out like campgrounds with spacious individual sites for the weary, and a few had RV dump stations too. All had free wifi. 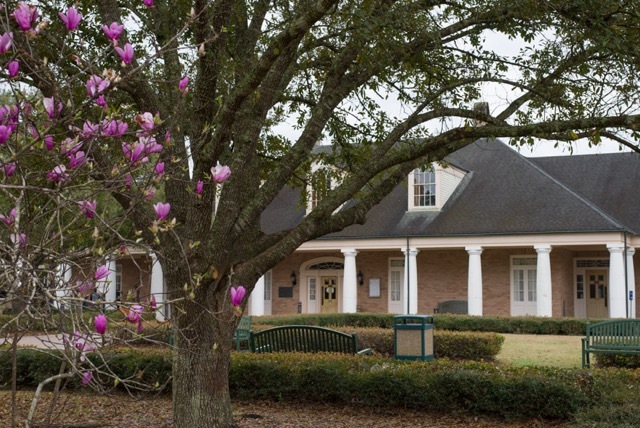 A truly restful rest area at the Mississippi Welcome Center. This “supersizing” of rest areas seems to be spreading east from Texas, and apparently Alabama is making every effort to keep up with its neighbors. 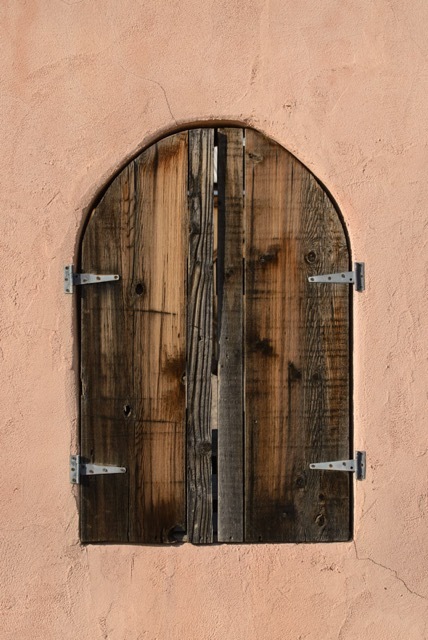 When we got to their rest area it was closed for renovation — and the project looked immense! We finally arrived in the Sunshine State yesterday, and Florida lived up to her motto and gave us blue skies. She also lived up to her reputation as a vacation destination when we walked into the building to find a party atmosphere. We were each handed a cup of cold Florida orange juice, and we found ourselves surrounded by families with kids. All of them seemed to be headed to Disney or the beach. There were props for photo ops with astronauts and beach scenes, and there were displays and games galore. 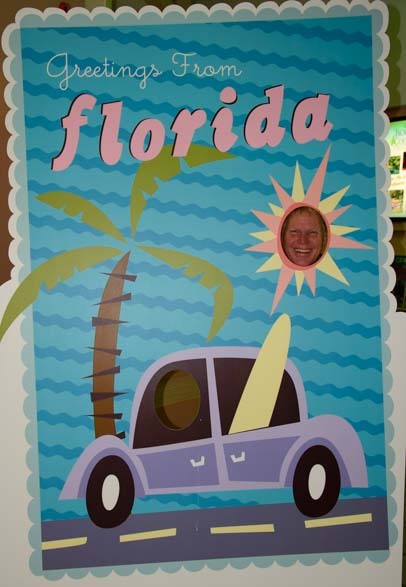 I-10 travelers get into the vacation spirit at Florida’s rest areas! We noticed one family messing with a video display, and suddenly realized they were getting a pic of themselves overlaid on a Florida backdrop that they could email or share on Facebook right from there. It was a selfie photo station!! We had to try it too! 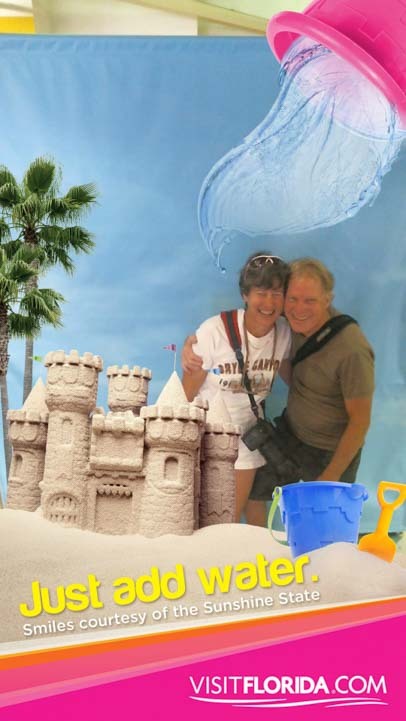 We chose the sand castle backdrop with the bucket of water spilling on our heads. We hit the button for the pic, and then entered our email address. Bingo — it emailed us a Florida vacation brag pic! 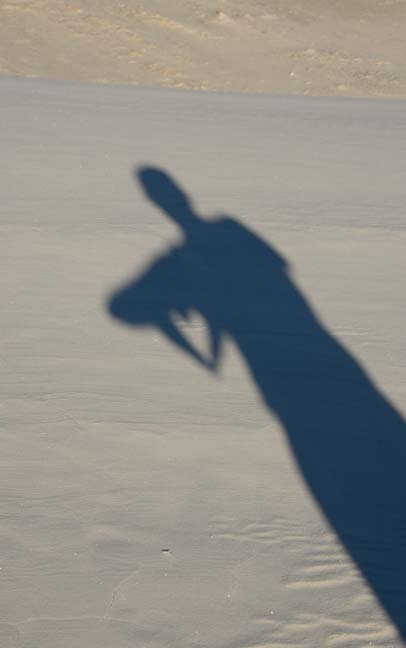 A Florida selfie courtesy of…an I-10 rest area! 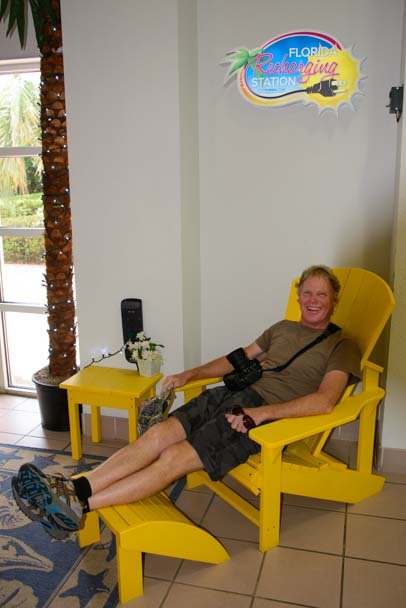 Mark found the “Florida Recharging Station,” a bright yellow beach chair to get you in the mood for sunshine and beaches. By the time we left that Florida I-10 rest area we felt like we were on vacation! 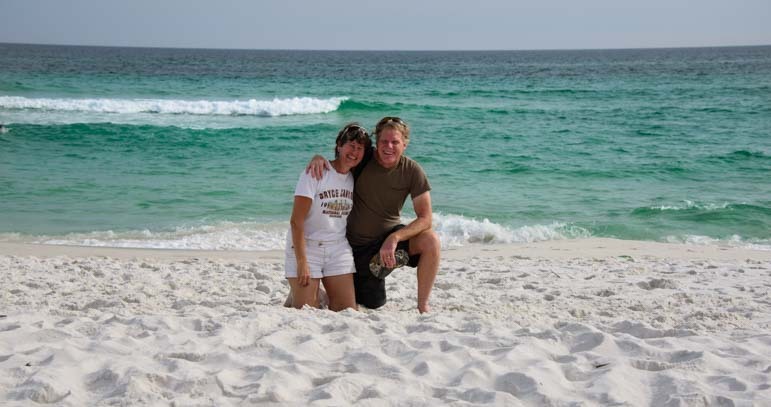 We drove straight to the beach on the Emerald Coast, past all the surf shops and spring breakers at the bars. 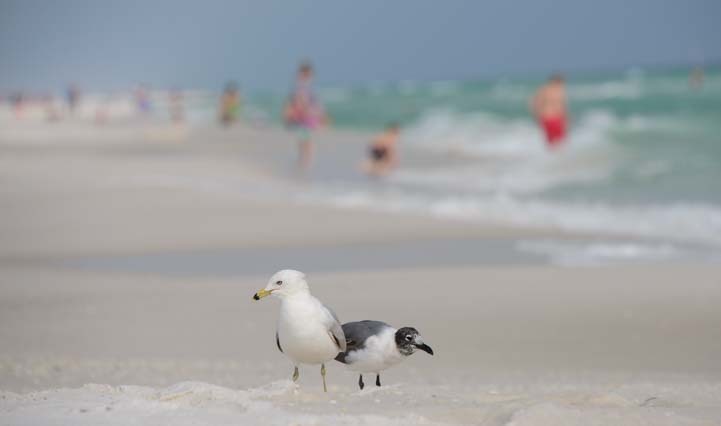 It sure didn’t take long for us to get into the swing of things on the beach, what with happy kids and grownups playing in the waves all around us, and savvy seagulls eyeing us up for snacks. At the beach we are greeted by Florida’s REAL welcoming committee!! We kicked off our shoes, and took a walk in the pure white sand next to the crashing surf. Wow! It felt so great to be in shorts again!! 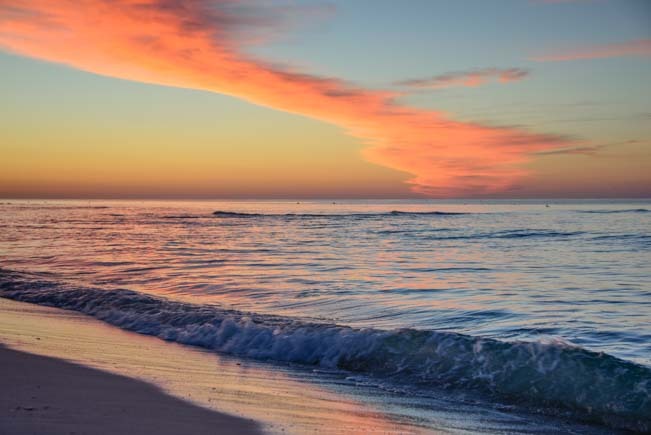 Ahhh… Florida! This is the best kind of rest area! 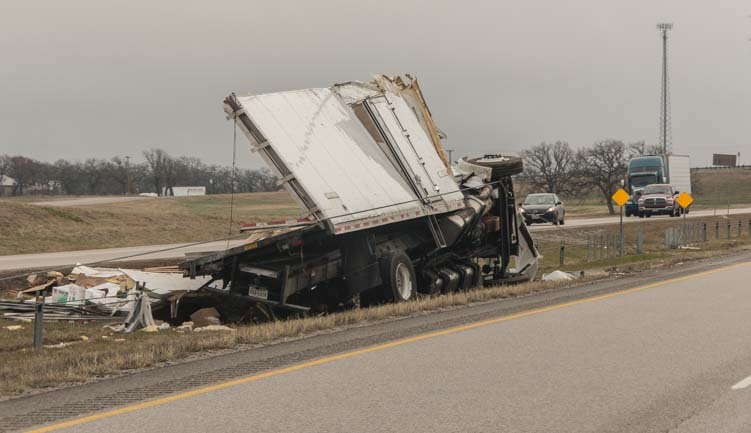 It was a long drive, the weather in Texas took us from freezing to dripping wet, and the terrible roads in Louisiana sent us flying (truly, the rig was airborne at one point! ), but the southern hospitality at the rest areas helped us recover, and the sunrise this morning was totally worth it!! 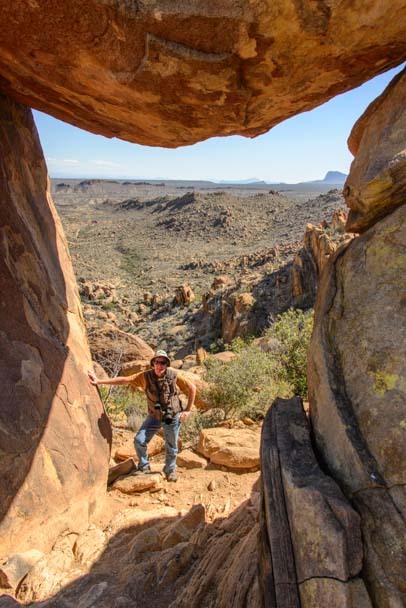 A huge windstorm has wiped out cell service in Big Bend National Park here in Texas, so we have been scurrying to the Visitors Center every so often to check our email, get a weather report and make sure the real world out there is still okay. 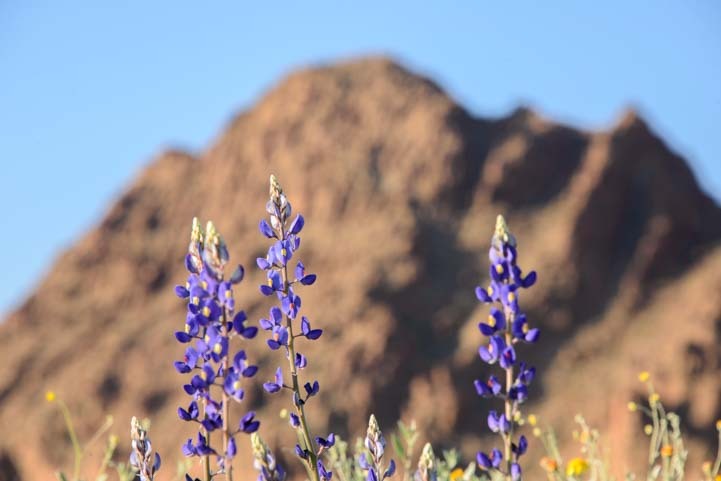 in the meantime, Big Bend has given us some incredible beauty and big surprises. 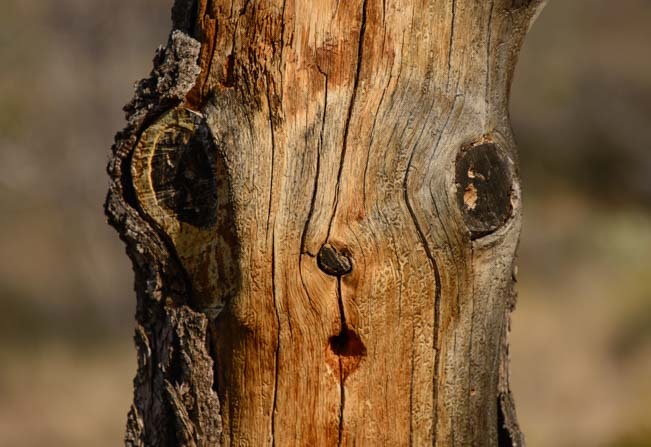 Big Bend has been full of surprises, including this surprised looking face in a tree! It’s a huge park, and going anywhere is at least a 25 mile drive. But the drives are awesome! 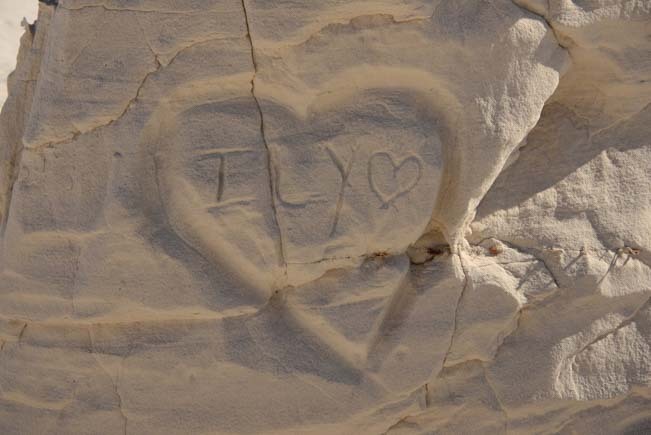 There are rock formations, badlands, cliffs, mountains, rivers and more. The drives around the park are full of sweeping views. We’ve enjoyed some fabulous hike through boulder fields, to balancing rocks and into canyons with cliffs towering above us. 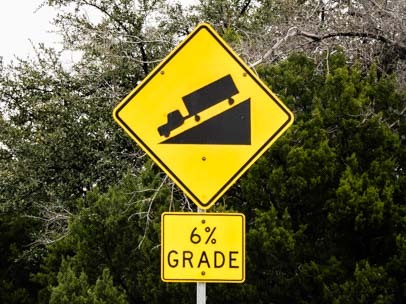 But this place always keeps you on your toes. A few mornings ago, after enduring below-freezing temps overnight, we woke up to dense fog and lacy frost decorating everything. There are cool rock formations everywhere. 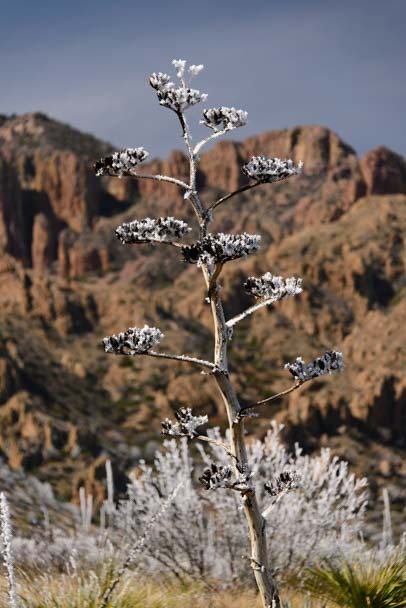 A century plant flower is covered with glittering frost. 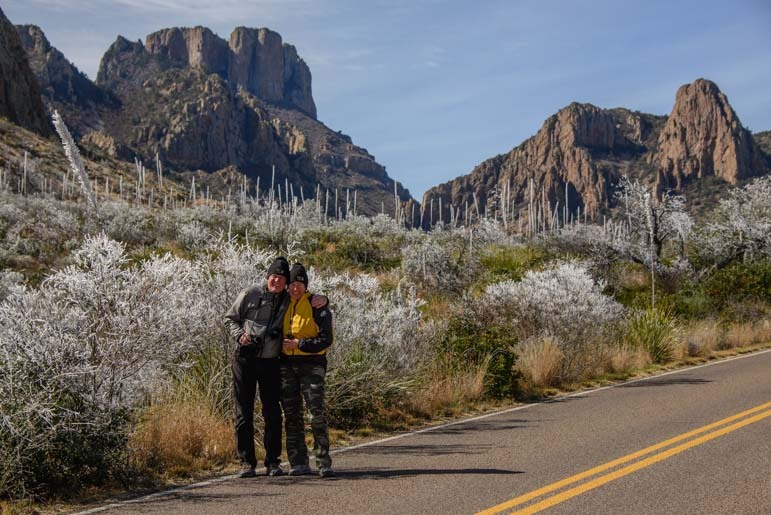 The Chisos Mountains were transformed by frilly frost on the trees. Despite our red noses and beanie hats, we loved every icy minute we spent in this world of mini icicles, and we’re hoping it happens again! 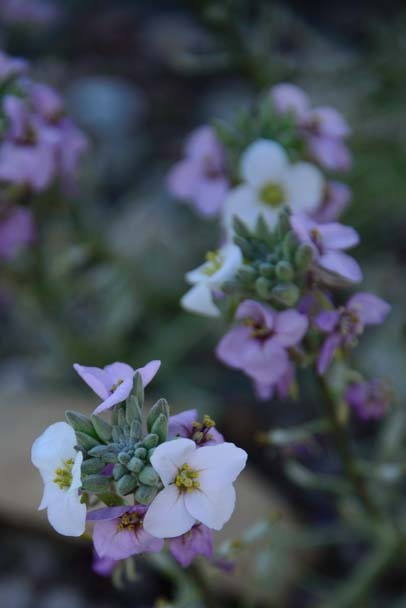 The delicate patterns on all the desert plants were exquisite. 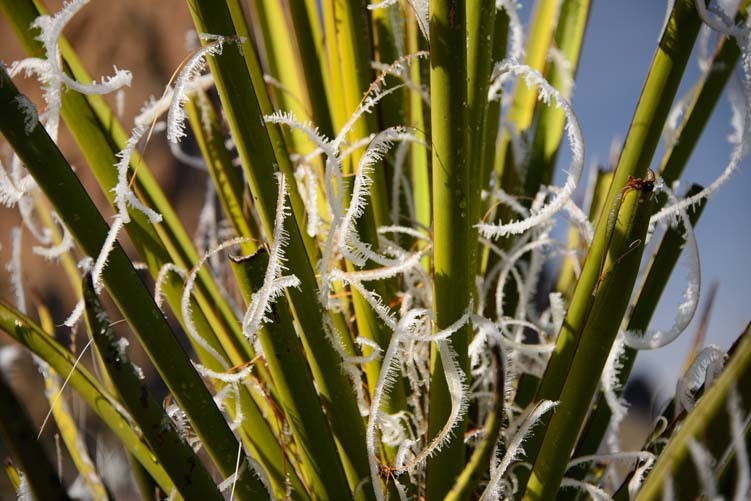 Pretty tendrils of ice on a yucca plant gave it a whole new look. And then, as quickly as it formed, the frost disappeared under the rising sun. 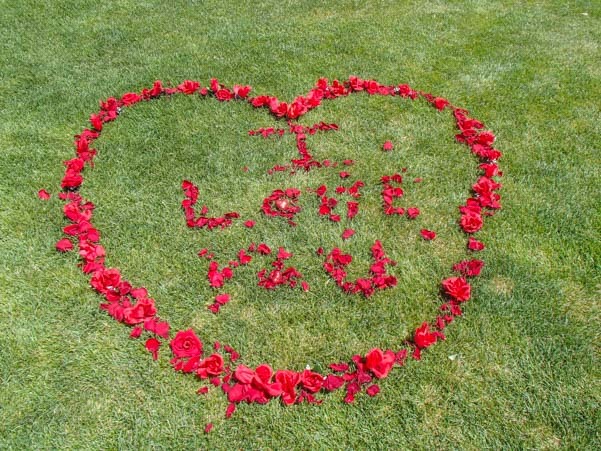 Little birds began chirping again, and the wildflowers opened up to the warm sunshine. Once the frost melted away, the wildflowers bloomed again. 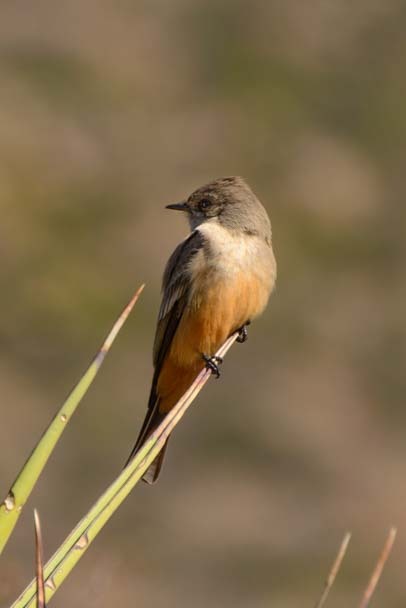 Bird songs filled the air on some of our mountain hikes. Yahoo Travel caught up with us the other day and interviewed us about our lifestyle. 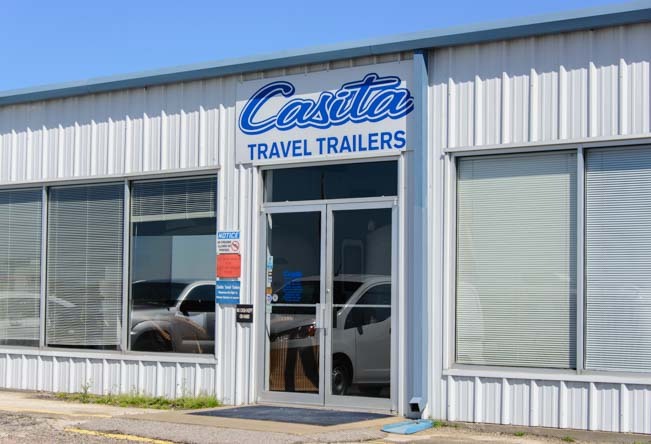 We had such fun chit-chatting about full-time RVing, what it’s like to run off to a life of adventure, and how it is that people can downsize all the way into an RV, that our interviewer, Caitlin Kiernan, was just about ready to sell up and go herself by the time we finished our call! 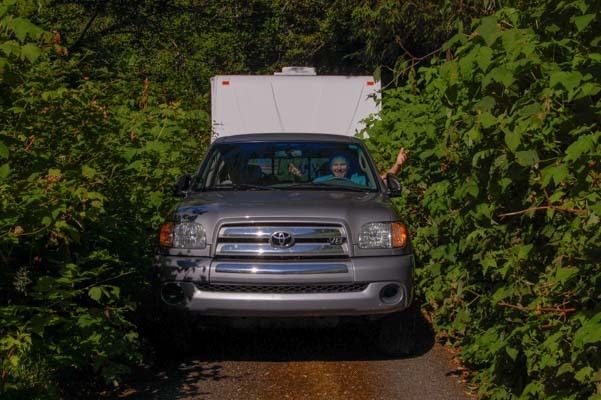 She reached out to several unusual full-timing RVers besides us, and she compiled a wonderful story that features not only our story but those of Becky Schade, a 30-year-old solo full-timer who lives in a Casita, the Kelloggs, a family of 14 who live in a 36′ Cruiser Boy motorhome, and Kristin and Jason Snow who live in a 30′ Trek motorhome. Now, I think anyone who has taken the leap to go adventuring in an RV full-time would agree that rather than “quitting life,” we have actually kick started our lives to be to a new level! 🙂 This fun story shows many of the different kinds of ways that people make such a huge life transition. 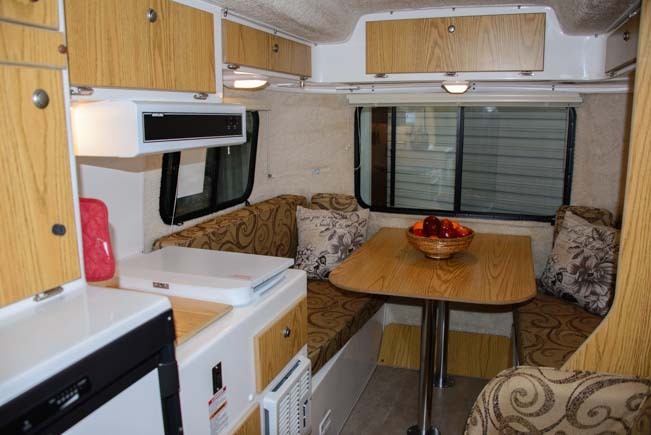 For us, our dreams of sailing set the stage, but our first step out the door of our conventional lifestyle was into an RV. Of course, we did eventually get that sailboat, and go cruising, but in the crazy way that a life of travel teaches you about yourself, we discovered on the open ocean that RVing is our first love. 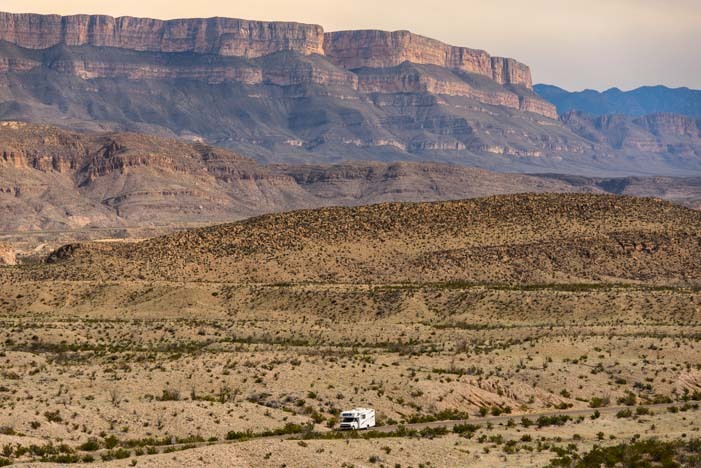 Even though the full-time RV lifestyle has traditionally been reserved for the retired crowd, these stories in Yahoo Travel show that RVing now reaches across all demographics, and that nothing so much as wanderlust is a prerequisite to get going. Oops!! A classic newbie RVer mistake! Caitlin asked us to relate the funniest thing that has happened to us in our life on the road, and what came to mind was a crazy adventure we had in our sixth week on the road our first summer of full-timing. 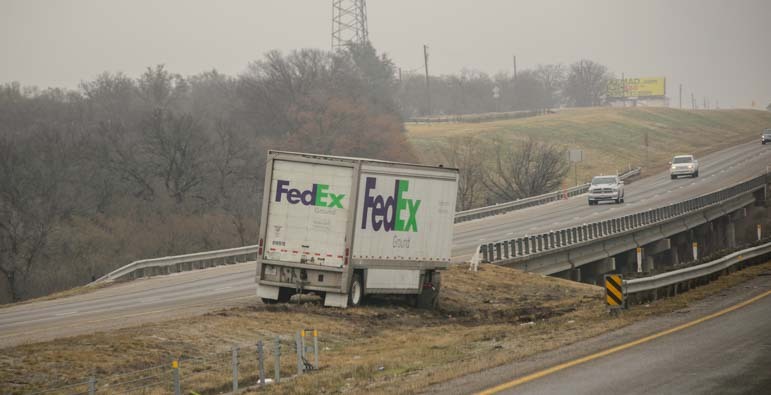 I’m including the photo here, but check out the Yahoo link to see how we got in this predicament!! (Our original blog post about the adventure is here). 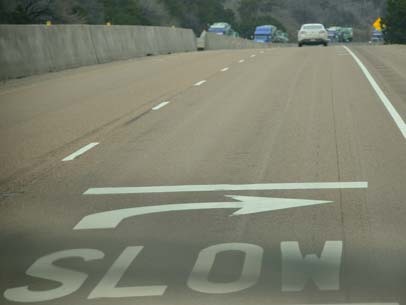 Happy day, everyone, and keep dreaming — the open road is waiting for you!! 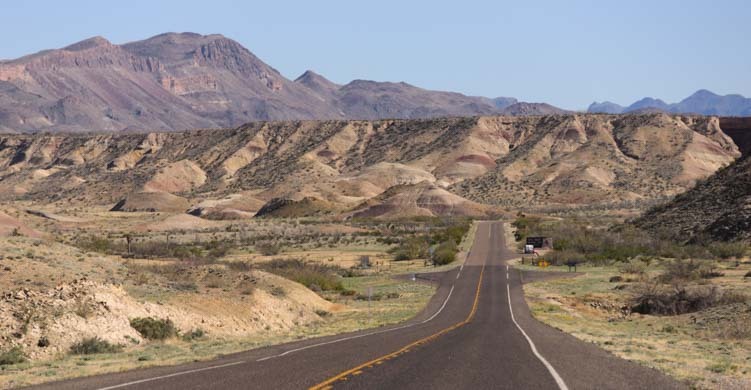 Big Bend Bound – To Texas!! We’ve been in Texas for a few days, and she has shown us all her colors, in the great big flamboyant way that makes Texas Texas! It’s been roasting hot, fearsomely cold, cloudy, sunny and pouring rain. 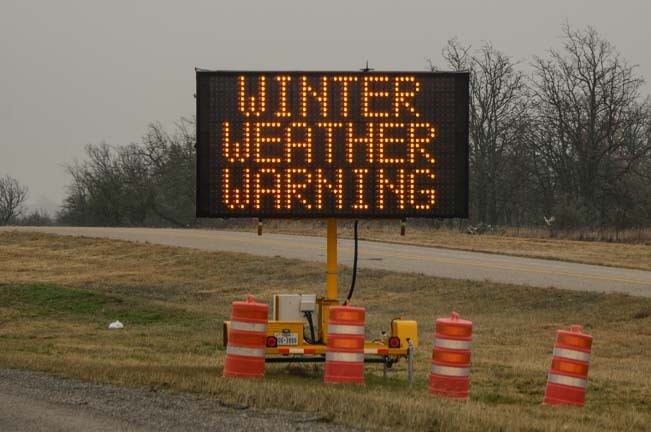 We even had sleet, and last night we got hail. 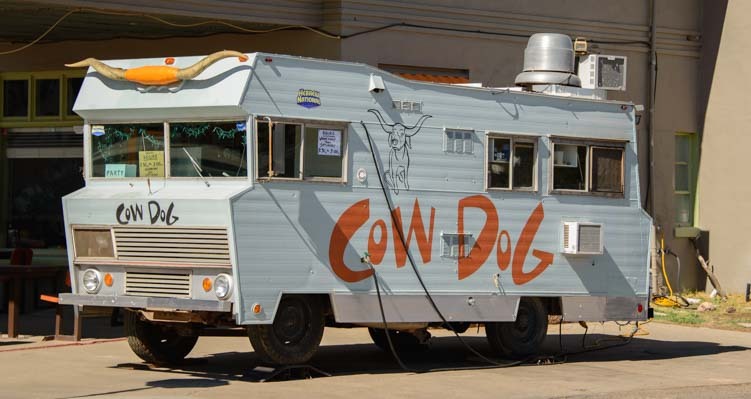 I’m not sure exactly what a “cow dog” is but you can get them on a bun from this rig in Alpine Texas! A rainbow after the deluge of rain, hail and sleet! 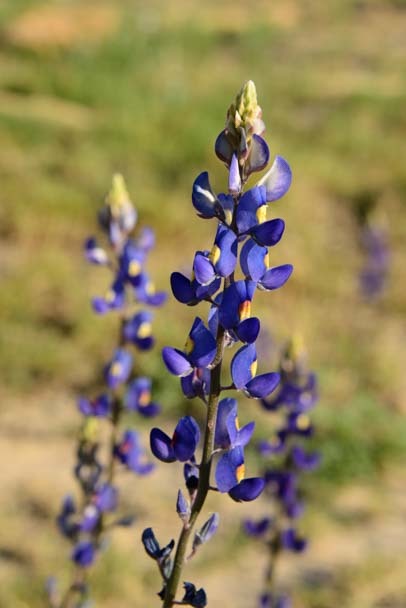 The blue bonnets are in bloom! 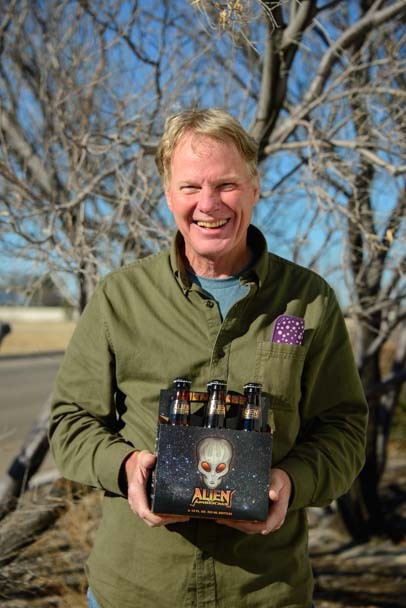 We’ve got lots of travel posts to share from these recent busy weeks, with great shots of sandhill cranes and aliens (the extra-terrestrial kind). Plus I’ve got 90% of a post written about our new Edge Tuner that has turned our truck from ordinary to extraordinary. But we may be away from the internet and playing outside for a while, so all that stuff may just have to wait!! We have been loving our visit to the eastern side of the Chiricahua Mountains in southeastern Arizona for the past two day. 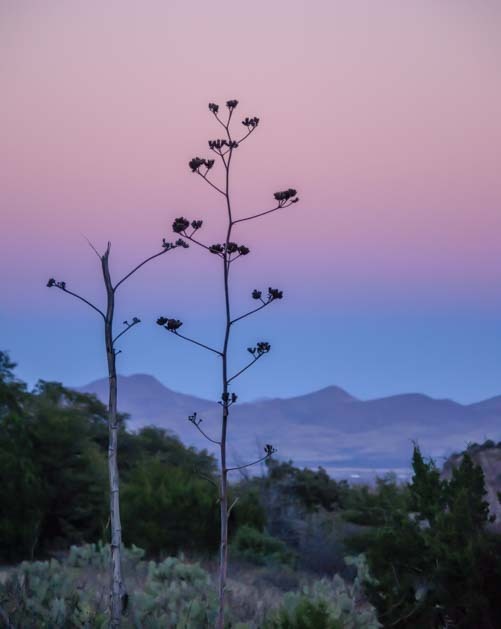 This unique area is a “sky island” in southeastern Arizona’s desert that is filled with high elevation flora and fauna it shares with other “sky island” mountain ranges in the area. Last night, we were out on a picture-taking evening stroll, getting shots of the vivid pink and blue sky after sunset. It was one of those yummy skies that is layered with light blue at the horizon and soft pink above. As I stood in the middle of the road taking my umpteenth photo of the same scene, wondering how to make it look as beautiful in the photo as it was in person, I suddenly felt a presence near me. I looked up, and there was a deer standing right next to me!! This little guy was just a few feet away! 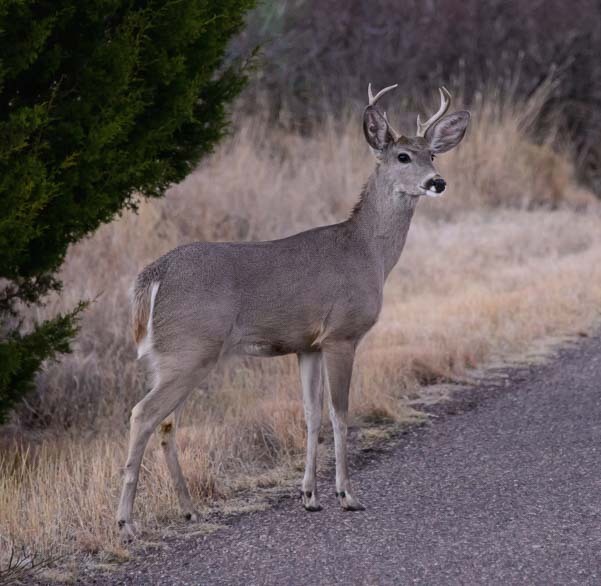 He paused at the edge of the road just long enough for me to get his photo. Then he ambled off down the middle of the road to join his two girlfriends who had gotten ahead of him while he dawdled with me. I guess they were out for an evening stroll too. His girlfriends were waiting a little further down the road. Sometimes the best things in life are just right there, only an arm’s length away. 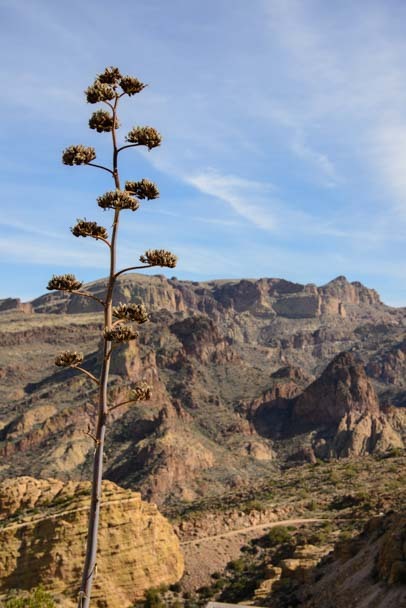 Birding and hiking in the Chiricahua Mountains – The Chiricahuas are a top US birding site, especially on the eastern side. 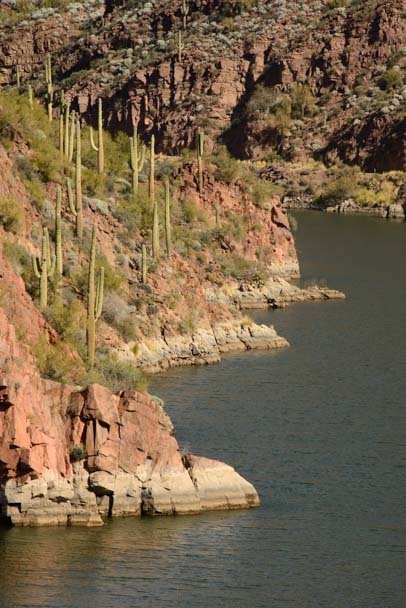 Cactus grow amid red rocks down to the water’s edge. 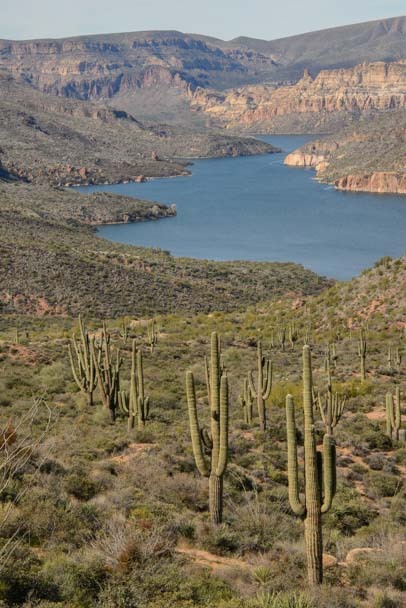 Apache Lake is a rich blue in the growing afternoon light. 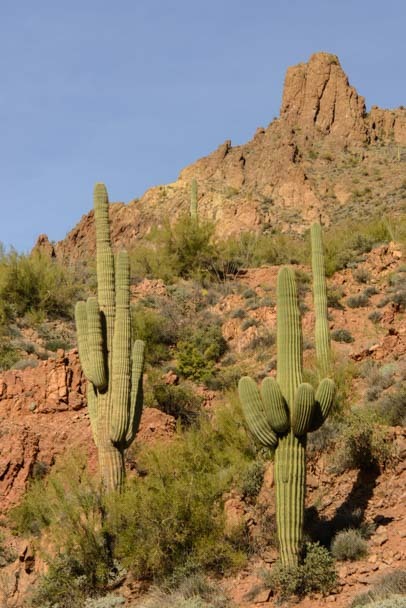 Saguaro cactus stand watch over both sides of the trail. 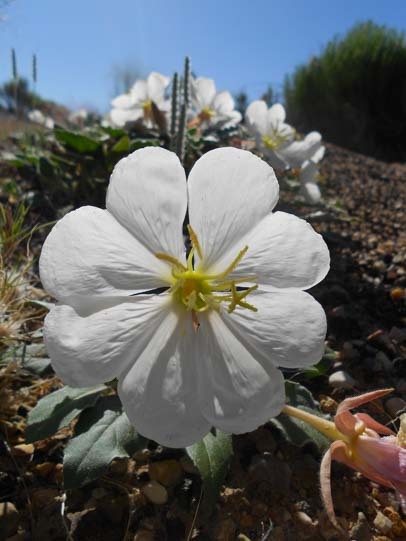 If you are in the Phoenix area in Arizona, this is a “must see” daytrip, especially as the wildflowers begin to bloom in late February and March!! 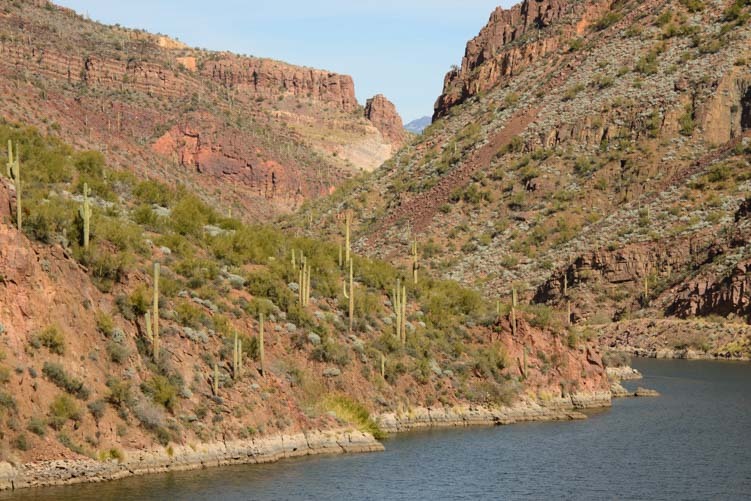 For more info about the Apache Trail, check out the links HERE and HERE. 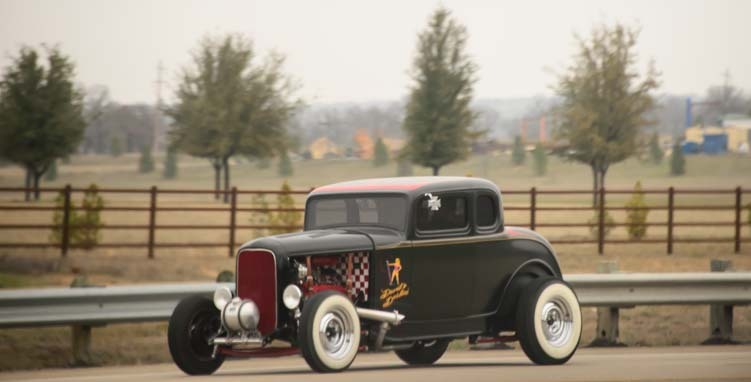 See our most recent Quick Pic posts HERE. 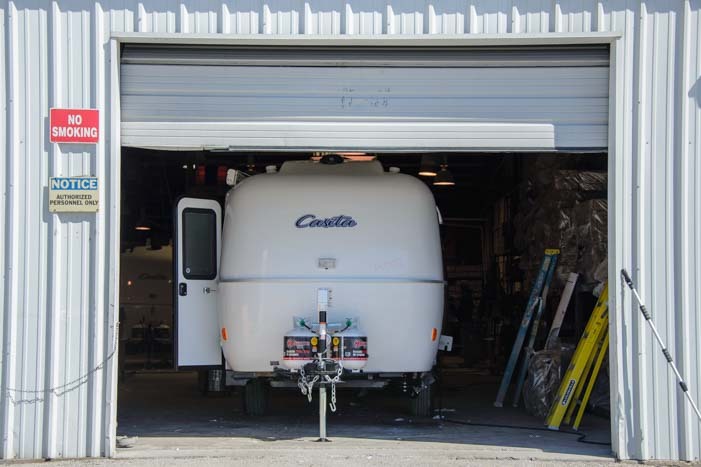 One of the most interesting booths at the RV Show in Quartzsite, Arizona a few weeks ago was Amazon CamperForce, an RV workamping program designed by Amazon specifically for full-time and seasonal RVers. We spent some time chatting with a delightful CamperForce veteran, Nancy, and were very intrigued by the program. 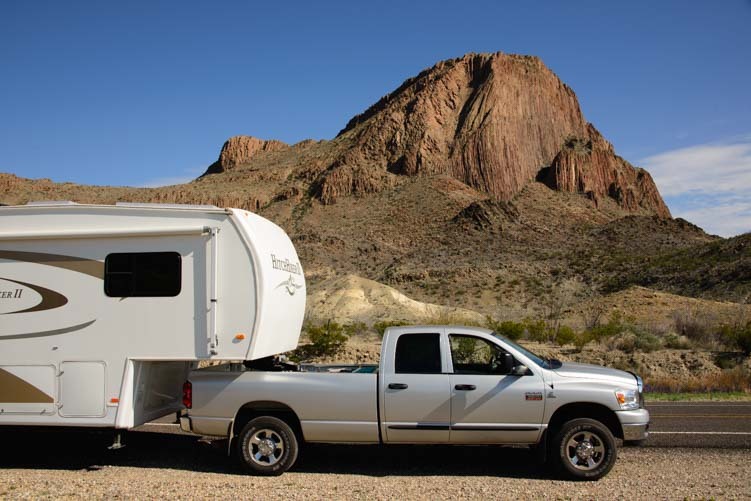 Amazon has been an unusual and forward thinking company since its inception, and this program has taken the RV workamping world by storm. 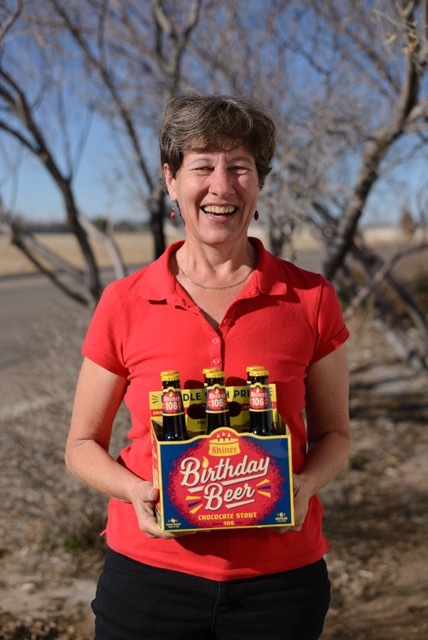 Nancy and her husband have been a part of Amazon’s CamperForce for several years now, and they have found it is a fabulous way for them to pick up a cool $10,000 each year between October and Christmas! Every fall, Amazon needs extra labor in their shipping warehouses to get products into boxes and out the door in time for Christmas. 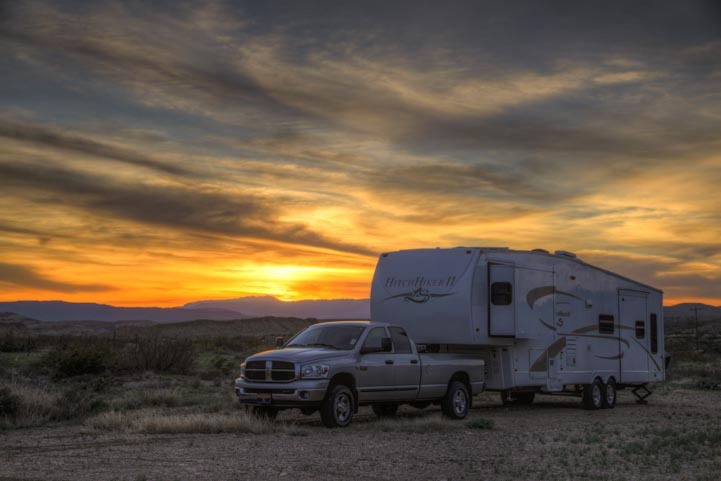 Full-time RVers love to make money on the road without making long-term time commitments. So there is a perfect employer/employee match between the two. 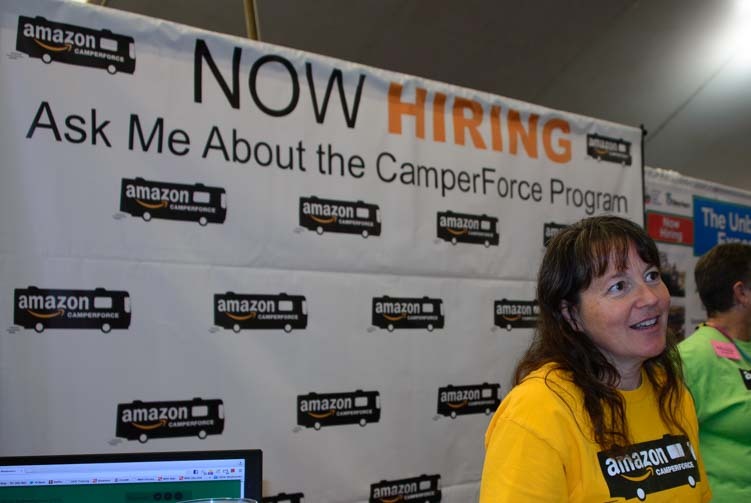 Nancy explained that from September until December 23, Amazon hires RVers at a rate of $10.00 – $11.25 an hour to work 40 hours or more per week, starting on the date of their choosing. There are opportunities for bonuses and wage perks too. 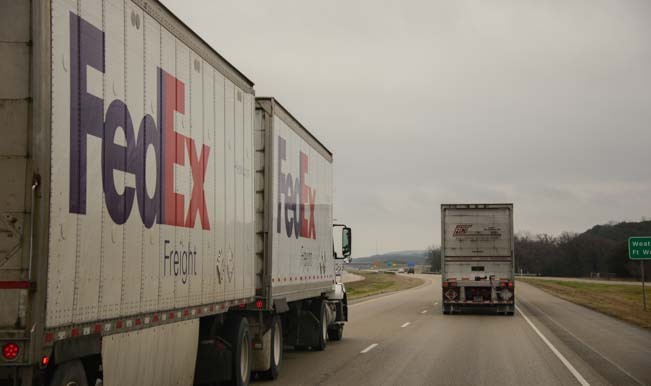 The work ranges from receiving to stowing, sorting, shipping and picking, and is physically very demanding. As Nancy said with a laugh, it’s a great workout program and she always drops a few pounds! For those that want to fill up their RV travel kitty quickly, she says you can work as much as 60 hours a week. She also mentioned that CamperForce employees are guaranteed work, so even if things get slow for a day or two, full-time employees are sent home while CamperForce workers are given things to do. 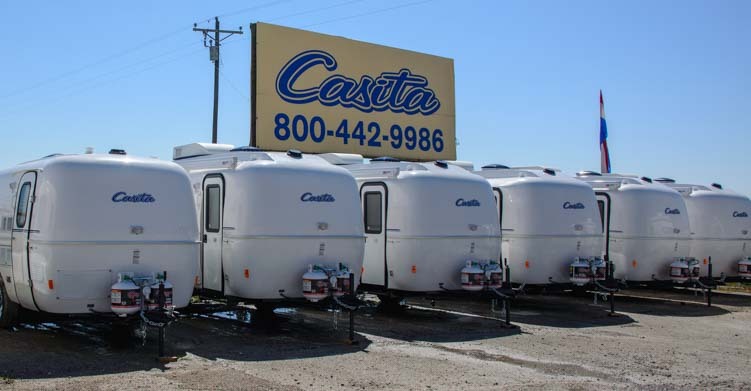 There are RV parks in the communities where Amazon has its warehouses, and workers’ RV sites are free. Nancy talked of how a whole community spirit envelops the CamperForce workers each fall, and how they look forward to seeing each other from season to season. 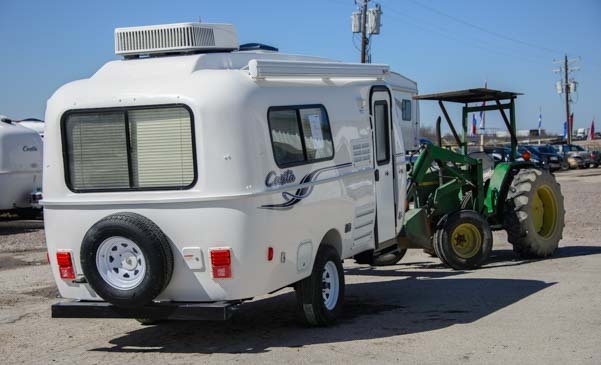 A neat benefit for the communities where the warehouses are located is that a big group of RVers shows up every fall, contributing to the local economy and giving them a boost! I was really surprised when she mentioned that last year there were 800 applications for 500 positions, and that all the positions were filled by March!! I had heard of this program before, but didn’t know a whole lot about it, so I was excited to be able to learn a little at the RV show. 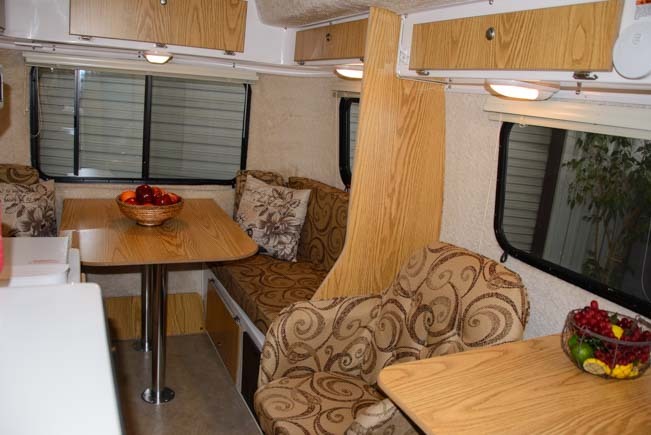 What a cool gig for full-time RVers! There are more links below! 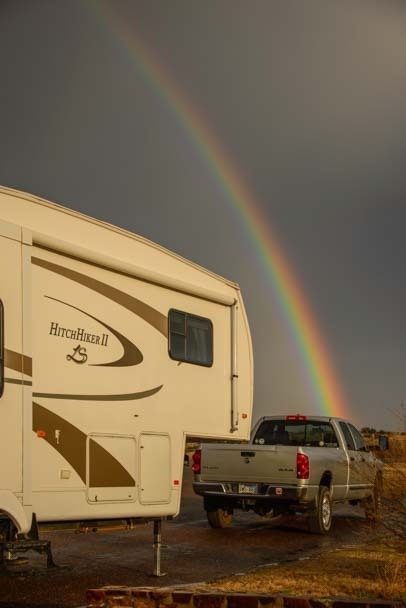 Full-time RV Costs and Budget – A review of our RVing expenses from 2007 to 2014. 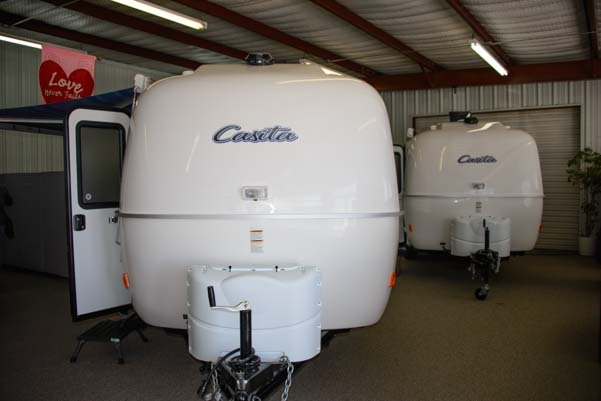 How We Saved Thousand$$ with Our RV Warranty – Our 4 year RV warranty paid for itself over 3 times in just 14 months!! 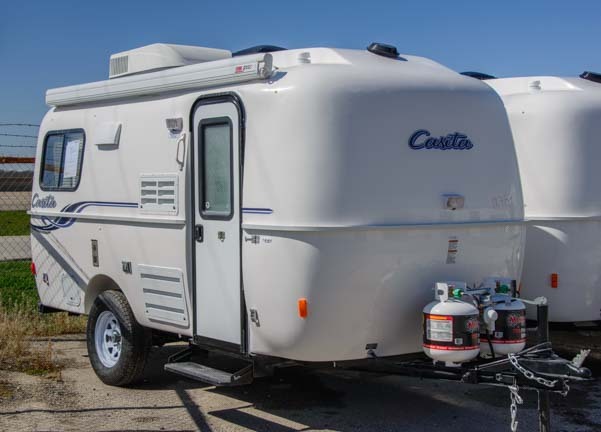 Transitioning to the Full-time RV Lifestyle – Taking the Leap and Which Rig is Best?? 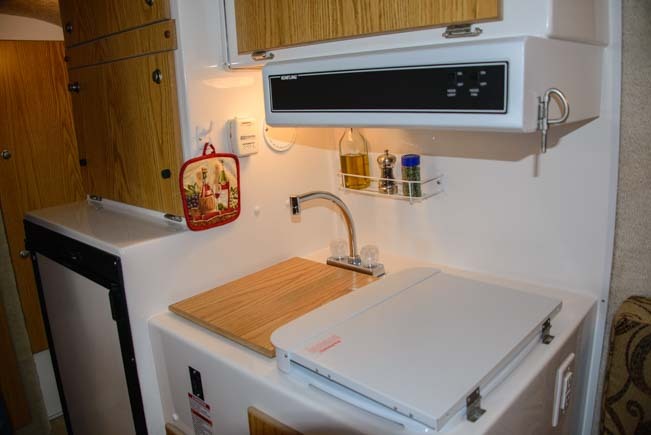 What Is It Like to RV Full-time? 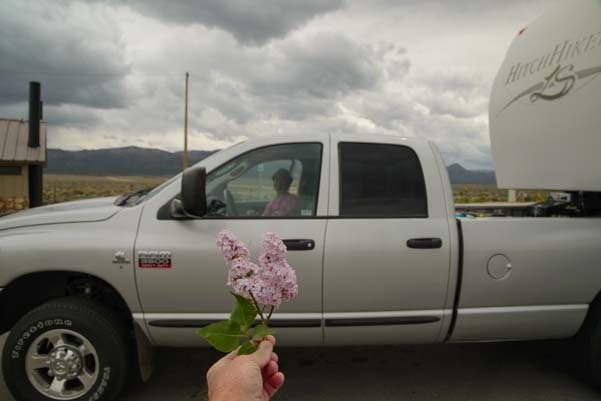 – Anecdotes and insights from our life on the road.